Have you or your students collected data that you'd like to make sense of? Would you like to see lots of data easily summarized and visually interpreted in one place? 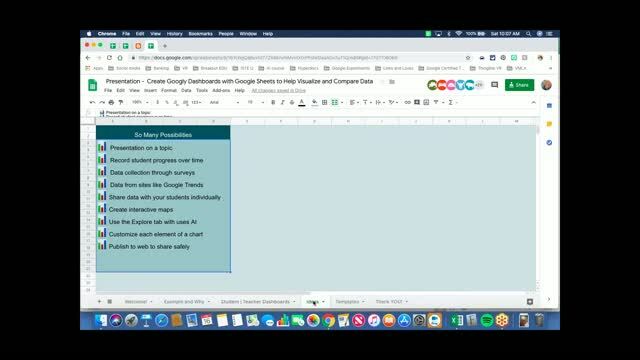 Try creating a "Googly dashboard" using Google Sheets. 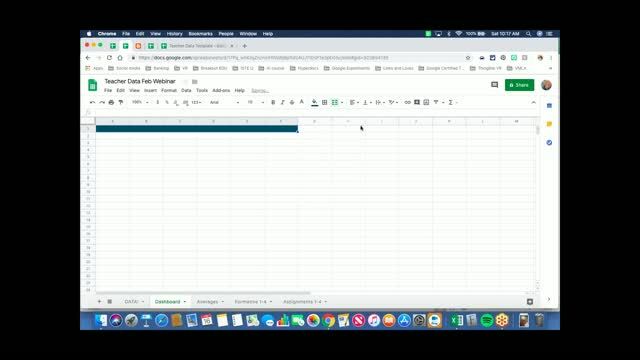 A Googly dashboard is a visual representation of data that updates automatically when the data is changed on corresponding sheets. 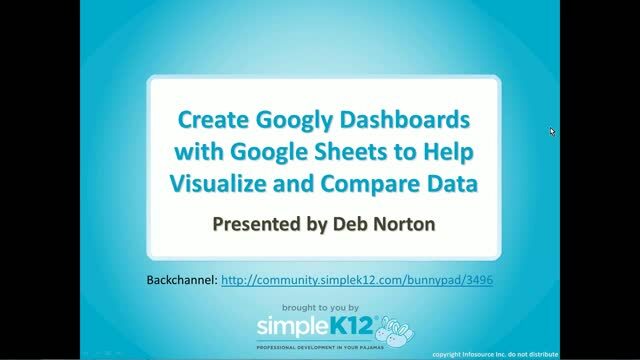 Join Deb Norton as she shows you how to create custom dashboards and explores how they can help you understand information in a quick and visual way. 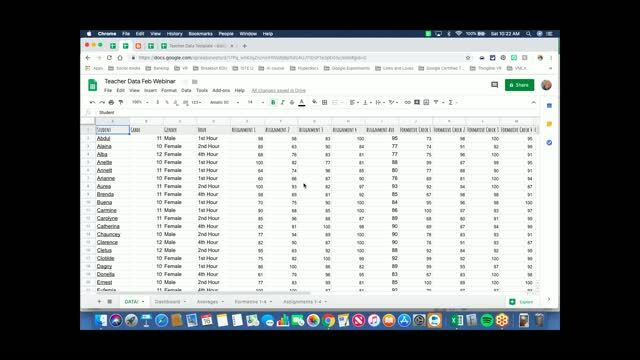 In addition to sharing some classroom uses for dashboards, she will demonstrate how easily you can filter results and share them with others. 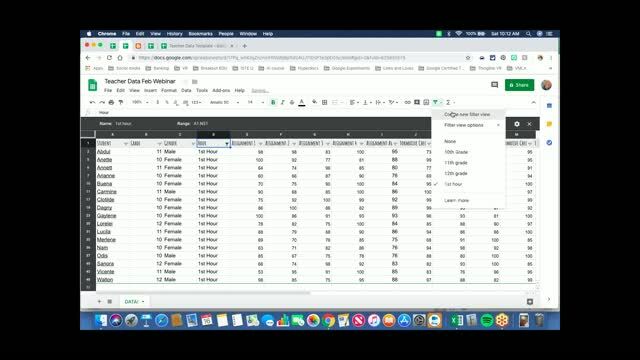 Whether you are trying to document student achievement, compare the progress between classes, inform your instruction, or easily understand and interpret compiled data, Googly dashboards can help! Abundant information!!! The kids would love creating these amazing charts! Amazing way to pull out and analyze data! Thank you! Thanks for a great webinar! Thank you for showing how data can be easily summarized. Nice webinar.